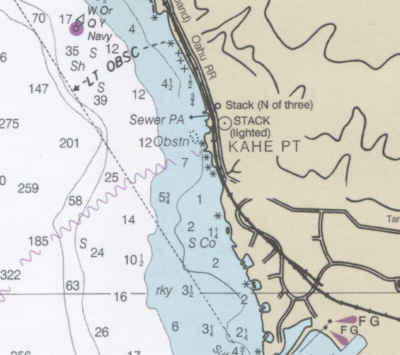 Source of maps and photos: Mapquest.com (color) and TerraServer USGS (monochrome). 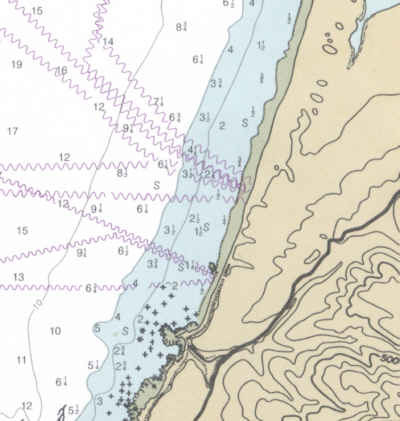 Source of cable landing maps: Hardcopy maps by National Oceanic and Atmospheric Administration, National Ocean Service, Coast Survey. 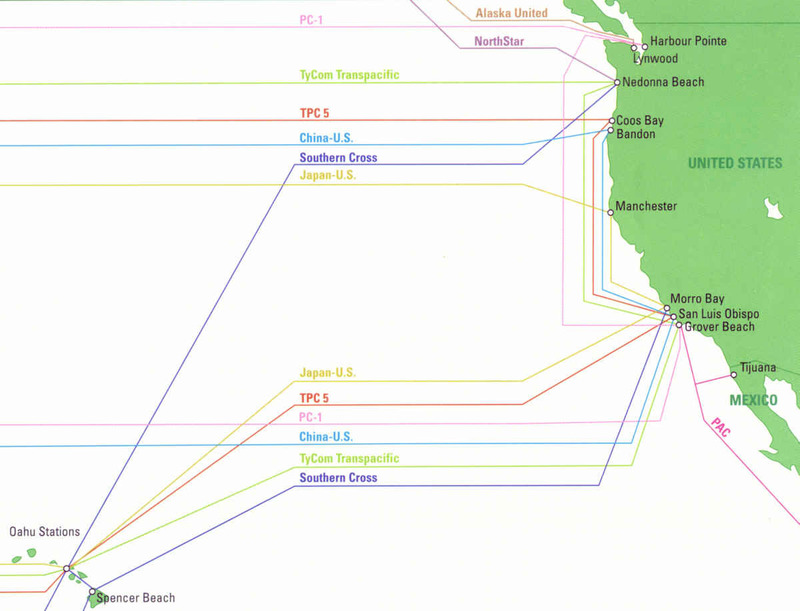 And see new New Submarine Cable Landing License Rules which took effect March 15, 2002. 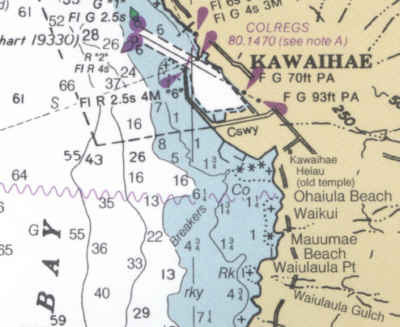 Changes to the rules are described in a Public Notice. 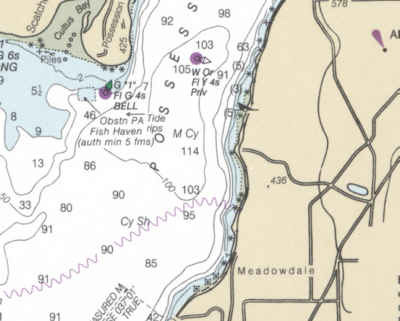 New Rules with Report & Order. 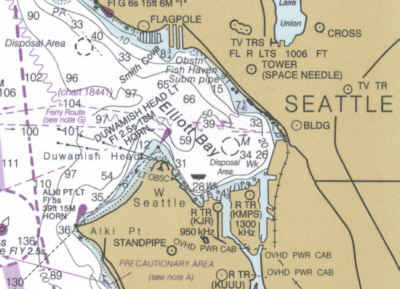 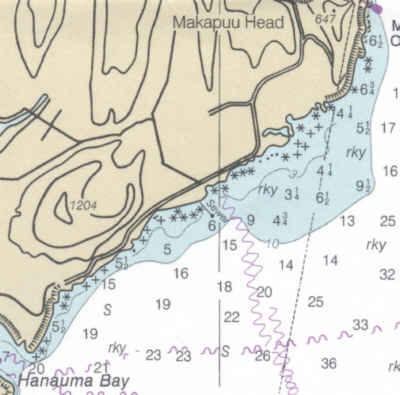 Coastal navigation chart symbol for active cables is the serpentine line. 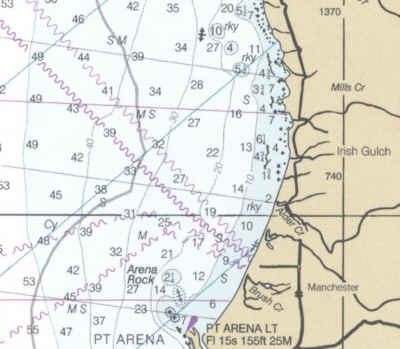 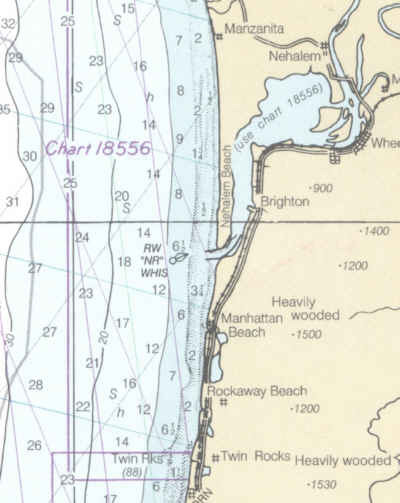 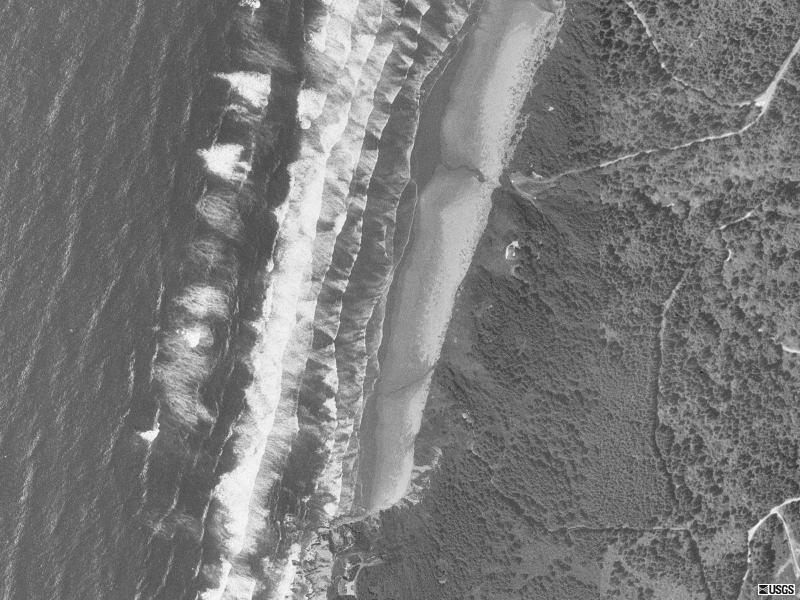 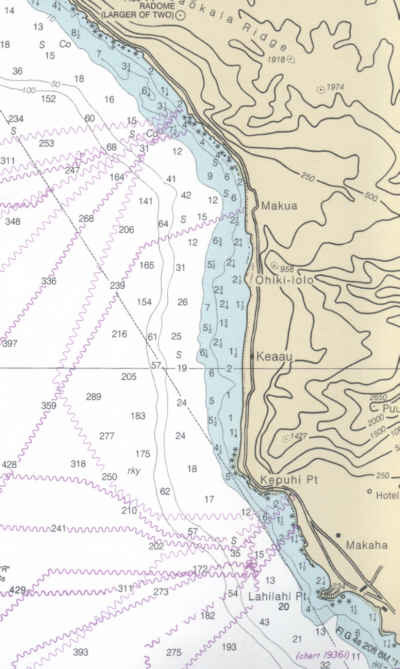 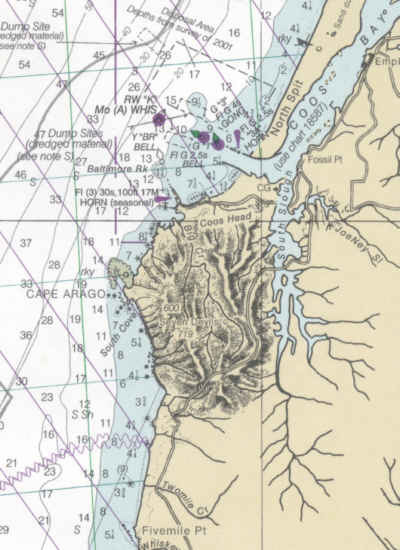 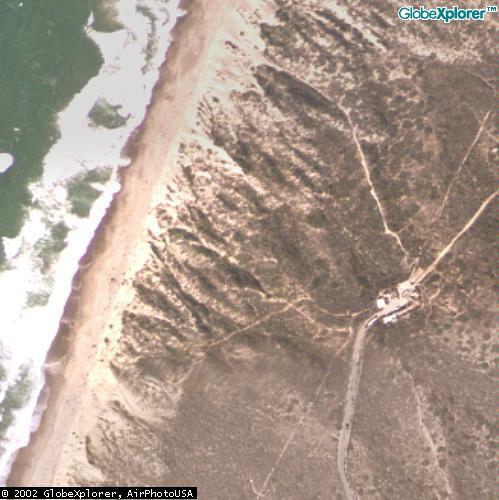 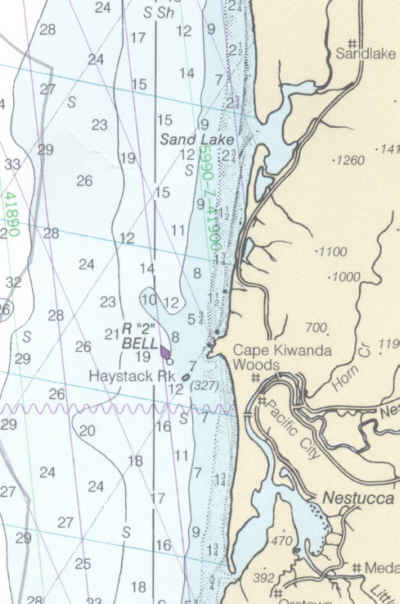 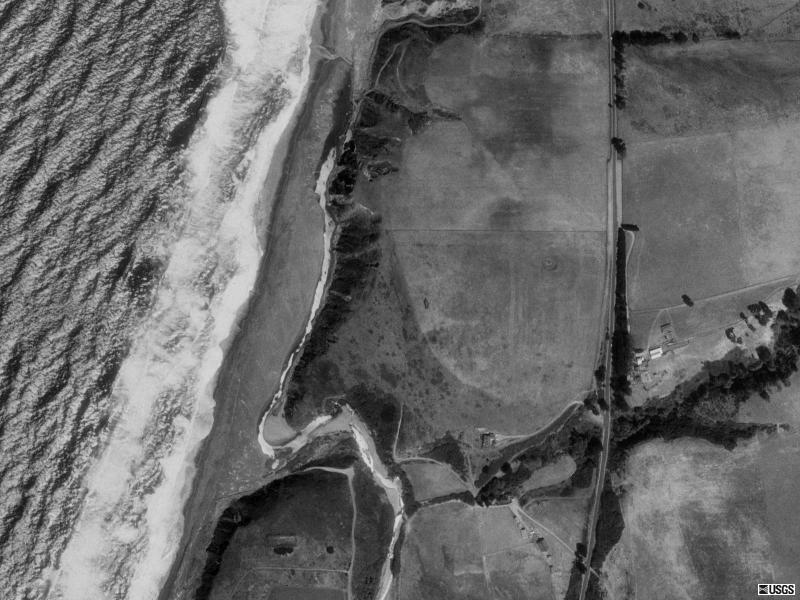 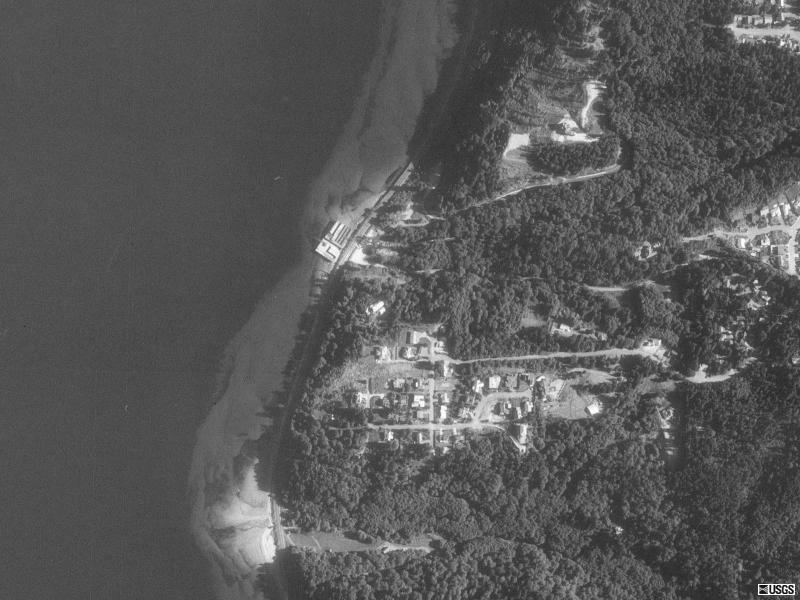 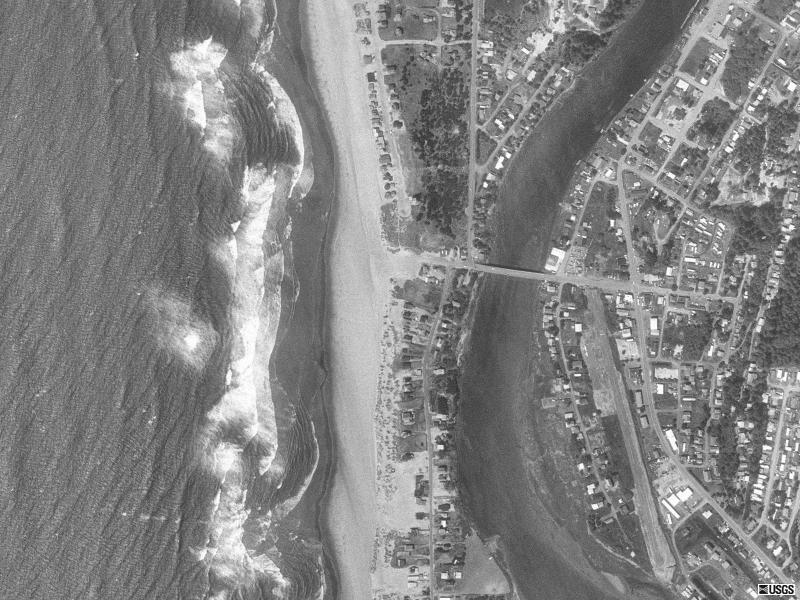 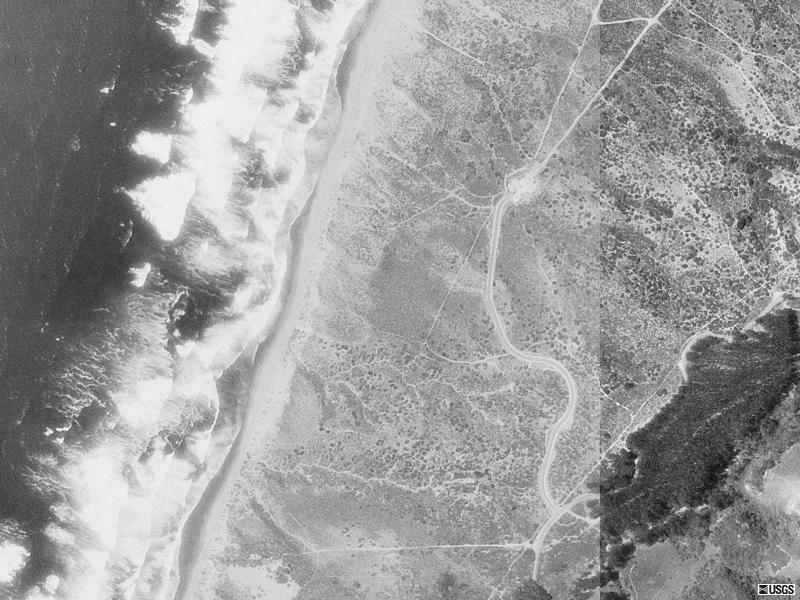 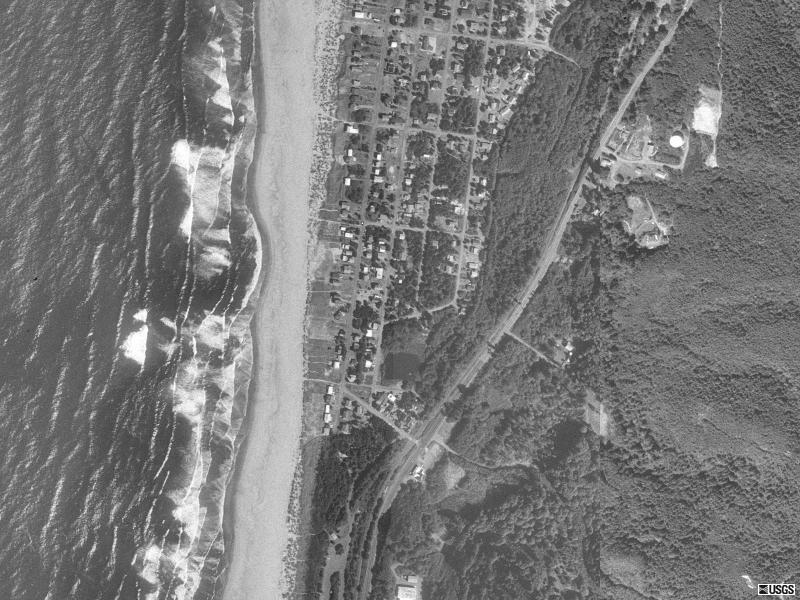 Source: Excerpted from hardcopy of "Global communications Cable and Satellite Map 2002,"
Nedonna Beach is just south of Nehalem Beach.